Perhaps one of the most important things you can do is draft out your idea beforehand, even if that means doing it the old fashioned way – with a pencil and some scrap paper. By drafting out your plan, you can see ways to lay out both images, headlines, and body text. Try a couple of different designs and see how you like them. Ask for opinions from friends and family or your co-workers. Make sure you focus on some important factors like which feels the most natural to read, which offers the best use of space, which uses the most eye-catching design, etc etc. This is extremely helpful when done beforehand, because you'll easily be able to change ideas before you get too far into your design. When it comes to the program that you should use to create and then print your catalogs or brochures, there are no hard and fast rules. Mostly it really depends on your personal preference in programs, but I can offer a little insight. Publisher programs and suites – like the Adobe Creative Suite (specifically InDesign for page layout, Photoshop for images and Illustrator for line art) and QuarkXPress are more likely to offer a robust selection of templates and customizable options that are exclusive to publishing programs. Imaging editing programs like Gimp and Paintshop Pro will require someone willing to spend a lot of time carefully calculating out their layout and have less robust printing options than a publishing program or suite would. One of the most important things to learn about brochure and catalog printing is how to correctly use the bleed. What is the bleed, you ask? Bleeding is the act of knowingly printing outside of the paper to make sure that colored backgrounds, edges of images, and any special colored accents that you would like to print closely to the edge. Why would you bleed over the print margins? By printing even 1/8th of an inch outside of your margins, you eliminate any potential weird white edges at the edge of your project. Also, this is a great way to hide any potential printing errors and misalignments, which there are likely to be a few. After all, printing is not an exact science yet! Resolution, or dots per inch (DPI) is an incredibly important factor when it comes to printing pretty much anything. DPI defines how many dots of ink fit in a single row across the span of one inch. The higher the DPI, the higher the quality of whatever you're printing – to a point. The higher the DPI, the more ink is used and the crisper an image becomes (though it is worth noting – don't use DPIs much over 300 as standard printers won't take advantage of this, and the human eye can't see much over 300 DPI to begin with.) For printed artwork and photographs, generally we use 300 DPI. For things like business cards, magazines, brochures, and catalogs, choosing a higher resolution will consume more ink, but provide a crisper, more pleasing result. Using a paper that is both quality and inexpensive is important! 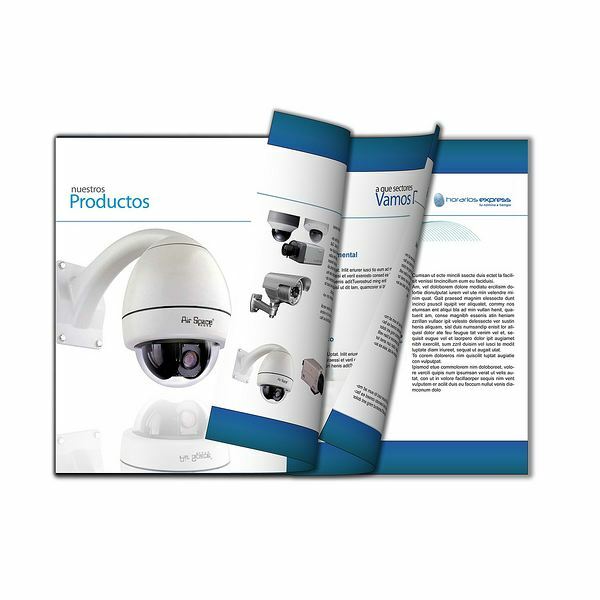 Brochures and catalogs are often printed on glossy paper, which is a great place to start. As far as paper weights go, you'll generally want to ask the salesperson at the paper store what you should use. 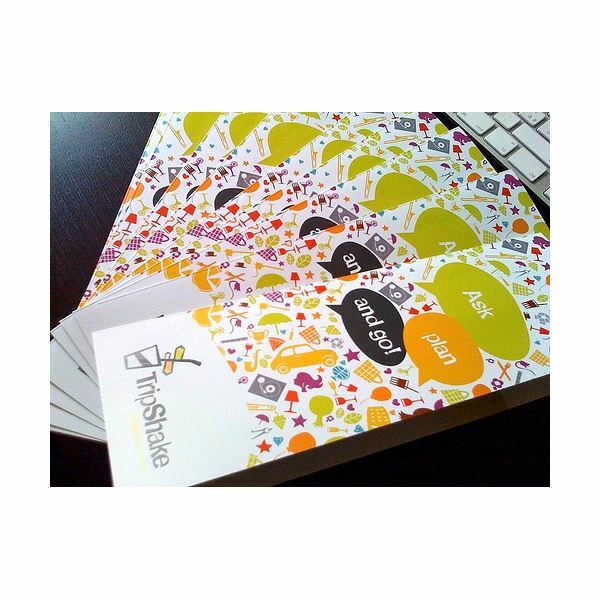 Brochures often use slightly thicker paper because they consist of a single page, making them rather flimsy. Catalogs are printed on thinner paper to reduce their weight, which leads to less postage when shipping them out. Just make sure that you specify your exact needs to the business you are buying the paper from, as they'll be able to tell you what will be the perfect weight and size for your project. 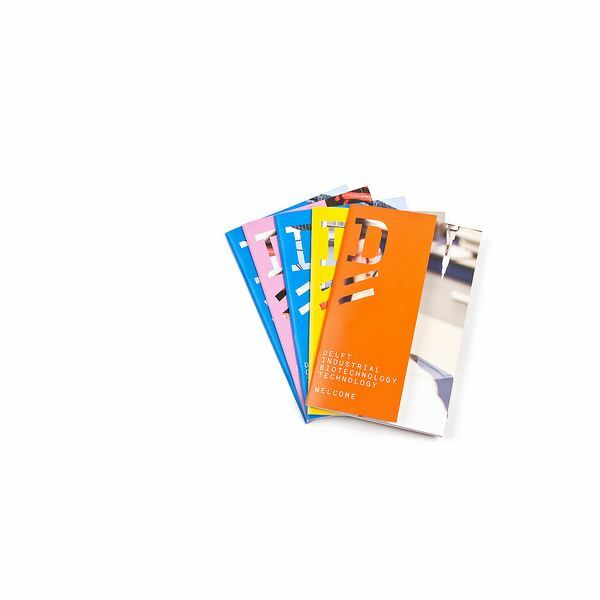 While most brochures are a single page that is simply folded, and therefore don't need bound together, catalogs are a different matter all together. You have a few different options. Saddle stiching takes advantage of using staples, which are cheap and effective, though some people worry about the environmental issues of using staples. Sure, you might only be using three metal staples per catalog, but assume you're going to print ten thousand catalogs each month. That's 360,000 staples. Assuming each staple weighs about 33mg each, that's about 26 pounds of scrap metal left at the end of the year. 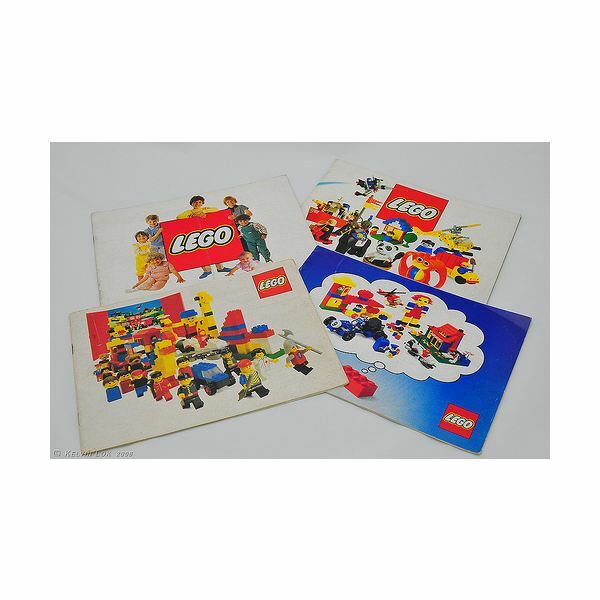 It might not sound like a lot, but realize that ten thousand catalogs is still a relatively small operation – lots of big companies can print hundreds of thousands of catalogs per month every year for decades. For smaller operations, staples don't contribute too much, but larger companies might want to rethink their binding options. If you're looking for a more environmentally sound way to bind your catalogs you might want to think about perfect binding, or using adhesives. There are several earth-friendly adhesives and the option of using cotton twine, much like books do. You'll likely want to talk to your printer, or if doing the work yourself, find what best fits your budget and your personal capabilities. Author's personal and professional experience in graphic design and printing.